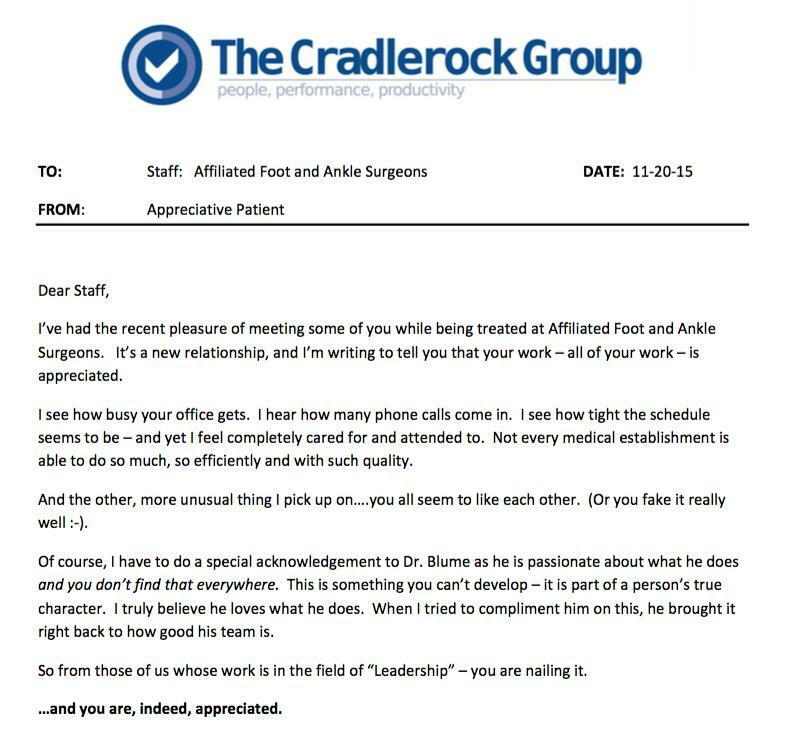 Dr. Blume was fortunate enough to receive a letter of appreciation from one of his patients recently. I see how busy your office gets. I hear how many phone calls come in. I see how tight the schedule seems to be – and yet I feel completely cared for and attended to. Not every medical establishment is able to do so much, so efficiently and with such quality. And the other, more unusual thing I pick up on….you all seem to like each other. (Or you fake it really well :‐). Of course, I have to do a special acknowledgement to Dr. Blume as he is passionate about what he does and you don’t find that everywhere. This is something you can’t develop – it is part of a person’s true character. I truly believe he loves what he does. When I tried to compliment him on this, he brought it right back to how good his team is. You can see the letter (with personal information omitted) below.